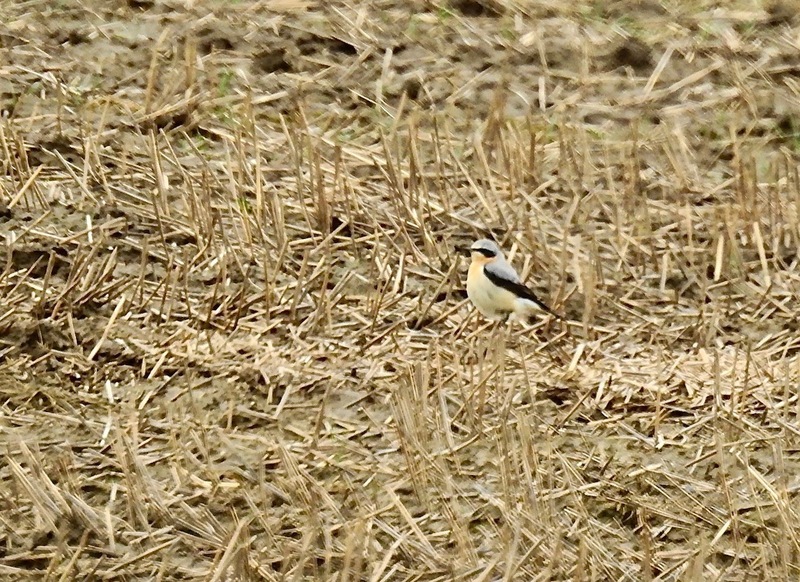 I’m sure there were lots of them about today in the calm, bright conditions, but say what you like, your first Wheatears of the year should always put a crease in your jim-jams and a smile on your face. Mine (not counting winterers in Gambia during January) were feeding quietly in stubble off Engine Lane this afternoon, a male and female. 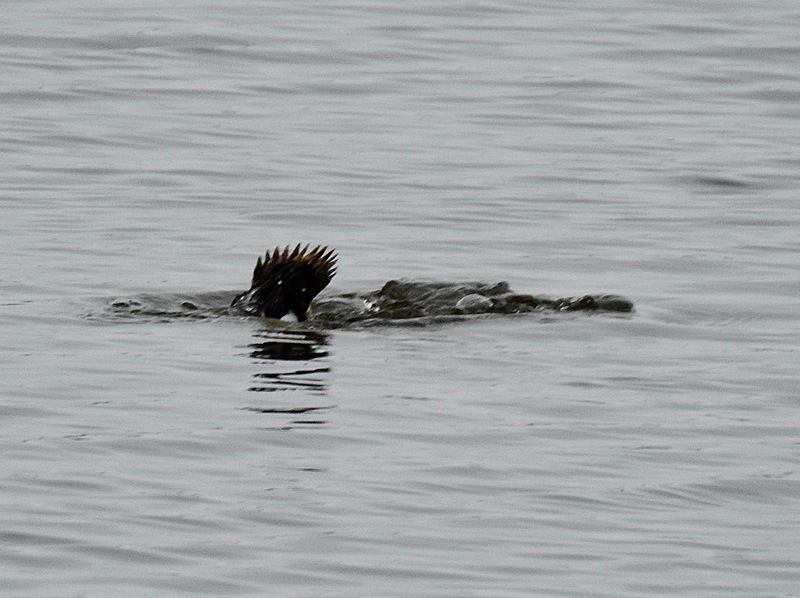 She was keeping a low profile, but he was bounding about like they do. Fine birds, if a little distant. 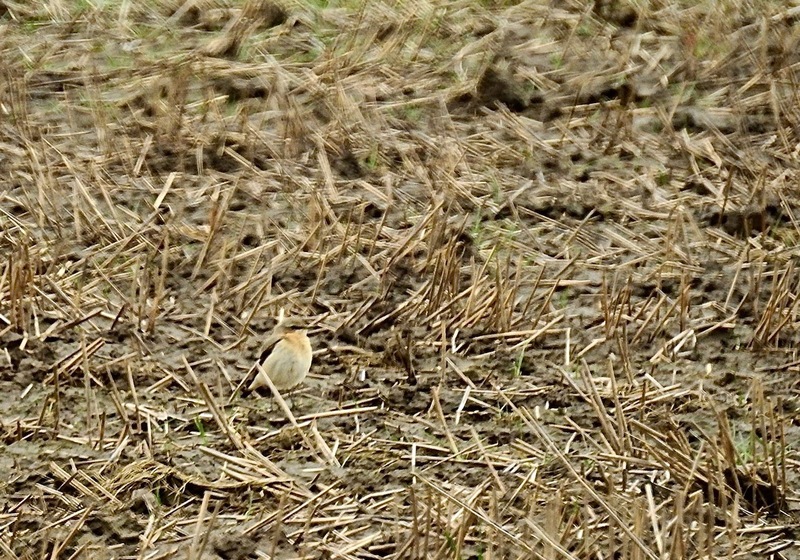 Earlier at Haskayne Cutting, two singing Chiffchaffs, Yellowhammer etc, with Mipits, Buzzards, Peregrine and Kestrel over. 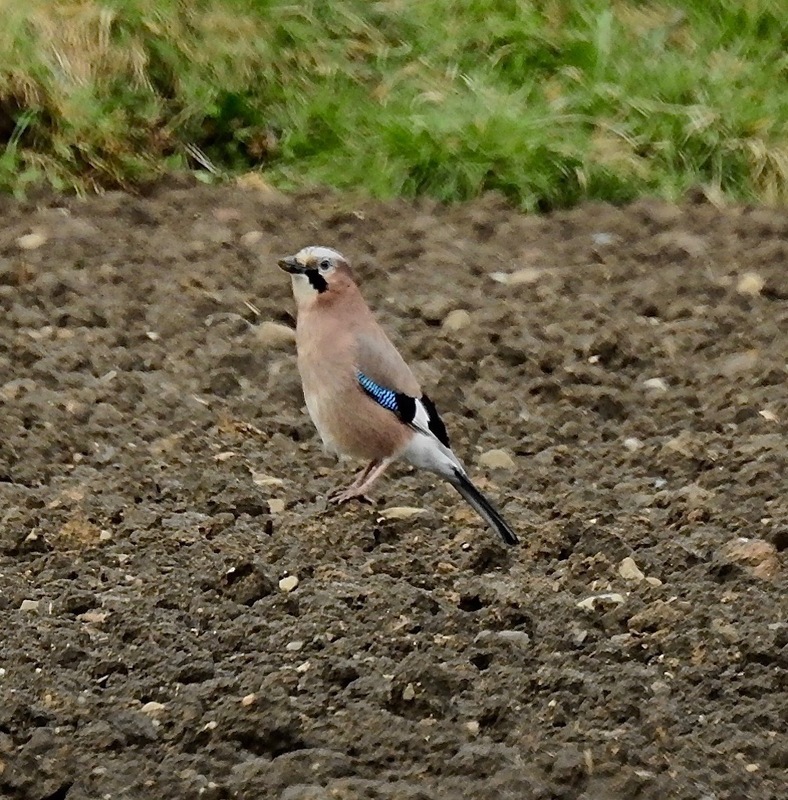 There seems to have been something of an influx of Jays, with a bird dropping in from high up at Dempsey Towers last night, and at least four at the cutting today, including two rooting about at the edges of the ploughed fields. 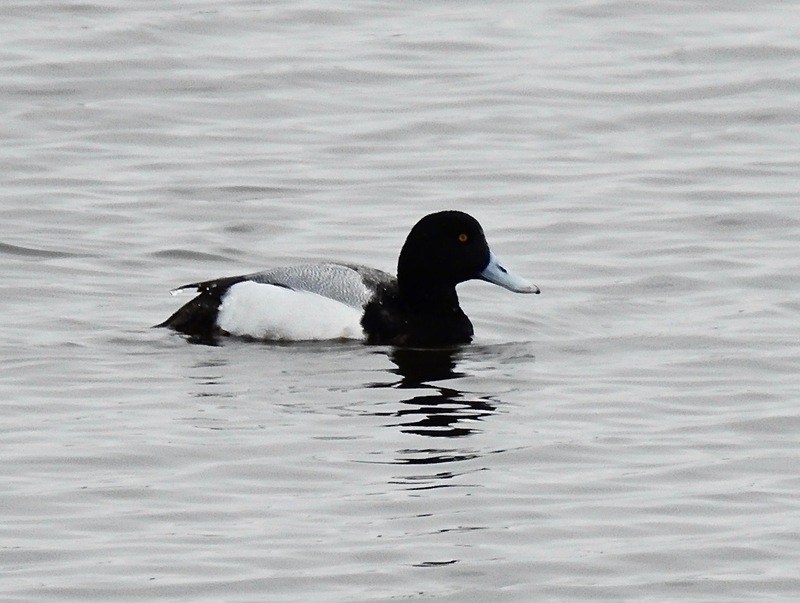 A bitter wind and icy icy rain quickly extinguished any foolish misconceptions about a bit of spring birding at Marshside this morning. 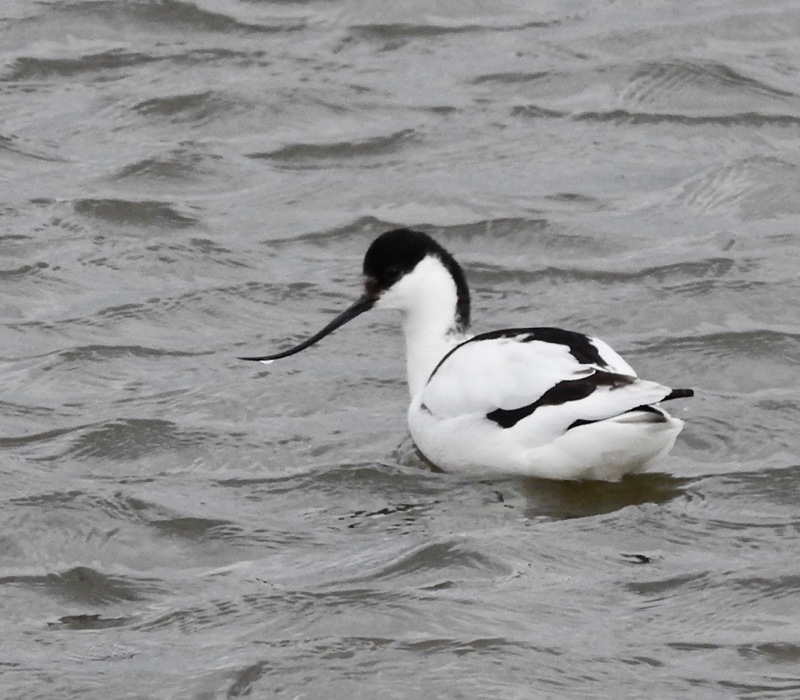 Yes, the pair of adult Med Gulls were looking chipper, if distant, up at Polly’s Pool, yes parties of Meadow Pipits were dropping in on the way north and yes, Coltsfoot, Common Whitlow Grass and Daffodils were flowering away. But the freezing edge to the wind saw Buff Tailed Bumblebees stumbling off to oblivion and any hopes of Wheatears and singing Willow Warblers etc going the same way. Hunting Merlin, stacks of Pinkies and Common Buzzards said it was still winter for this morning at least. 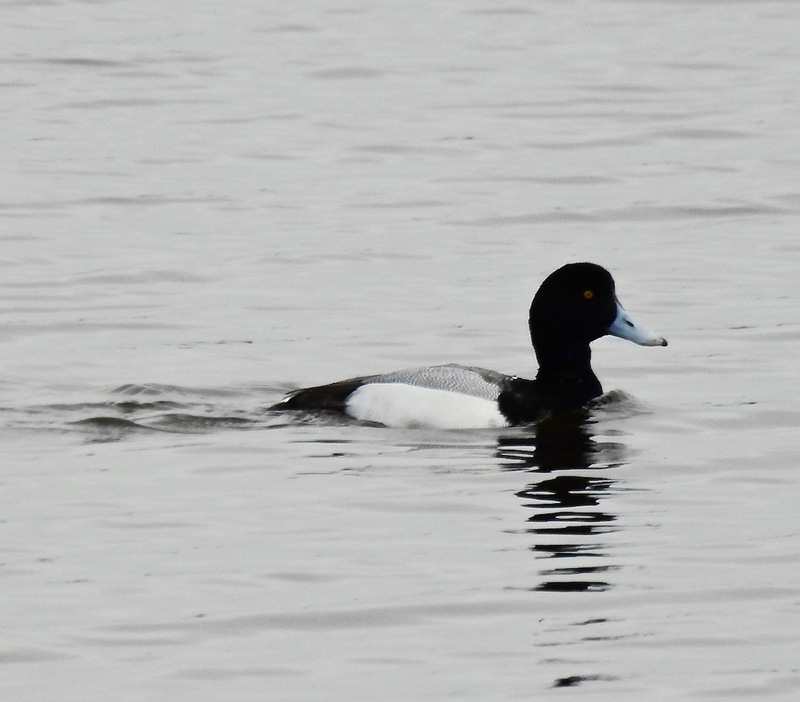 I took cover at Nels Hide and watched the pair of Scaup fishing for an hour or so. As we live in a strict equal opportunities household it was no surprise to nip home at lunchtime today to discover Mrs D furiously recycling old roof battening with the reciprocal saw out back, creating piles of kindling for the stove. No surprise given her enthusiasm for the project, which can sometimes get a little out of control. This should be obvious to anyone who tries to negotiate the gloom and cobwebs in the loft at Dempsey Towers…where did all those loose floorboards go? All that drying old wood had been resting on them. But floorboards it turns out, also make great kindling. Which is a surprise too, certainly to anyone who tries to traverse our loft now. 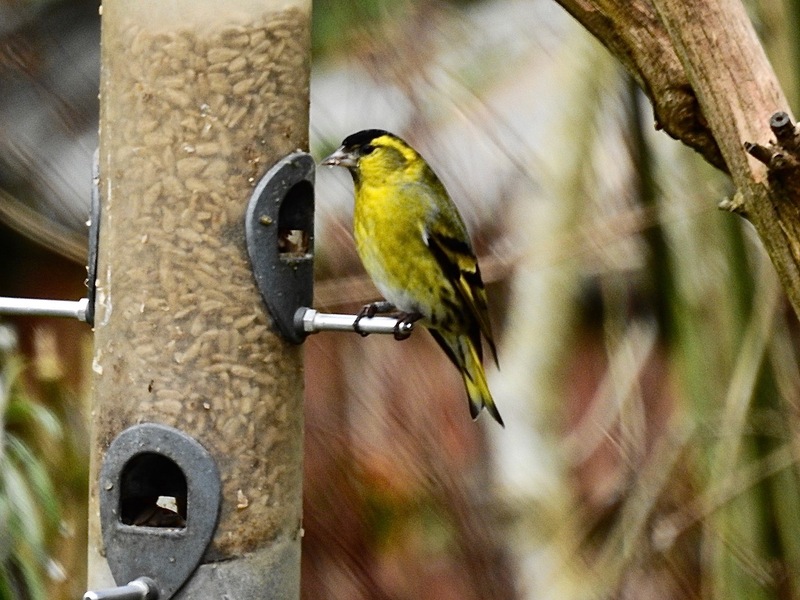 But the real surprise was that for all the growling of the saw and clatter as the battens transformed from dusty old planking and tumbled to the ground as oven ready kindling, not ten feet away a fine male Siskin was singing. The first one to call in this spring as passage begins to pick up, it was a classic glowing canary yellow example, which soon dropped onto the sunflower seeds and stuffed its face for five minutes, completely ignoring us. 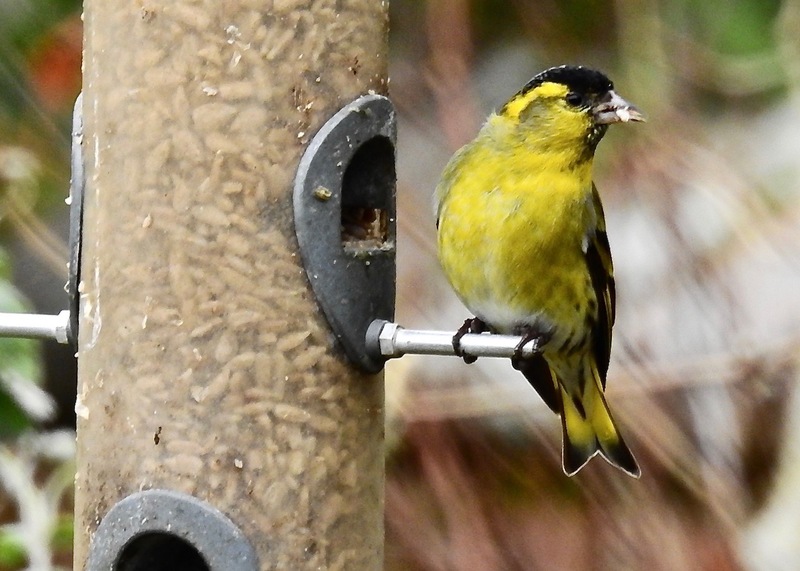 Why are Siskins so much bolder than other finches? 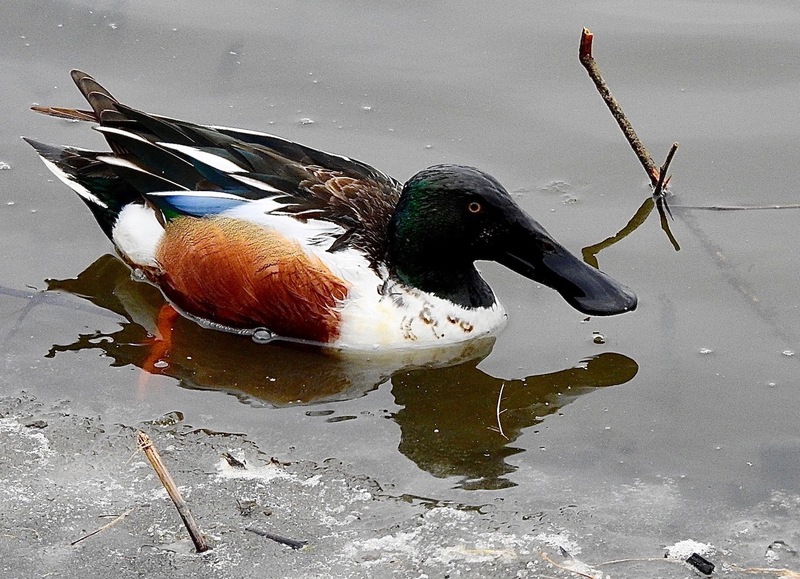 They often let me walk to within a few feet when they settle onto the feeders here. 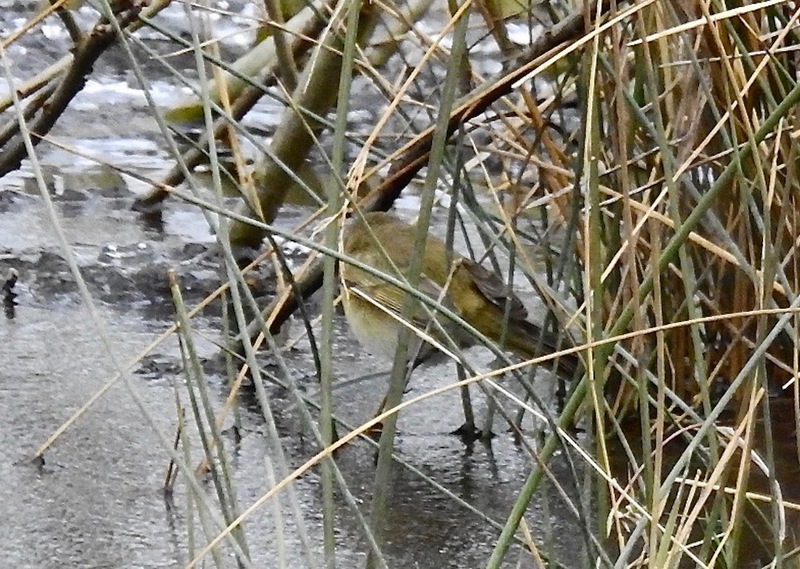 This one was even ringed (metal on the right leg) so it’s not as if it hasn’t had close encounters with human beans before…. There is a fine fringe of seed-rich debris (dumped by the last series of high tides) up at Weld Road, but there were plenty of folk out enjoying the spring light and mild conditions there too this morning. 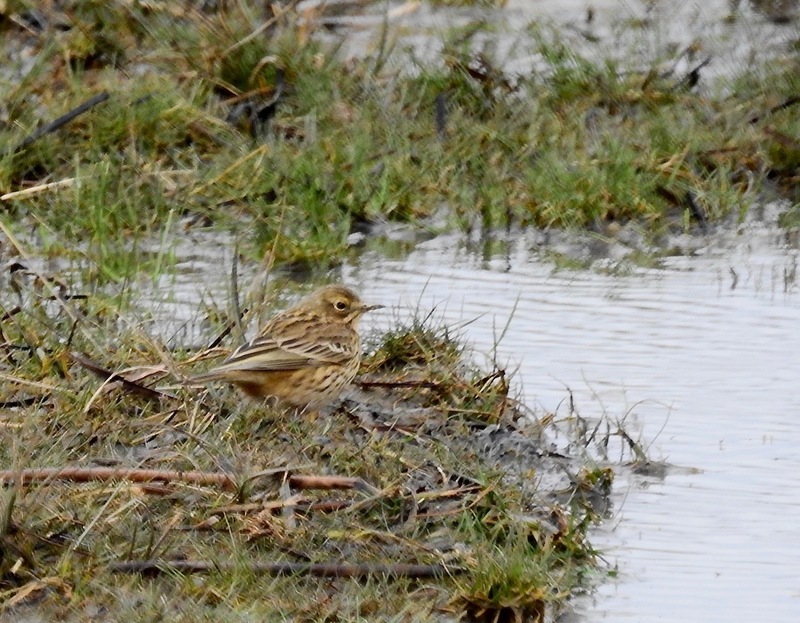 A steady trickle of Meadow Pipits and Pied Wags kept my attention, but I was hoping for a few Redpolls in the old tideline – they have favoured this food source here for the last few springs. 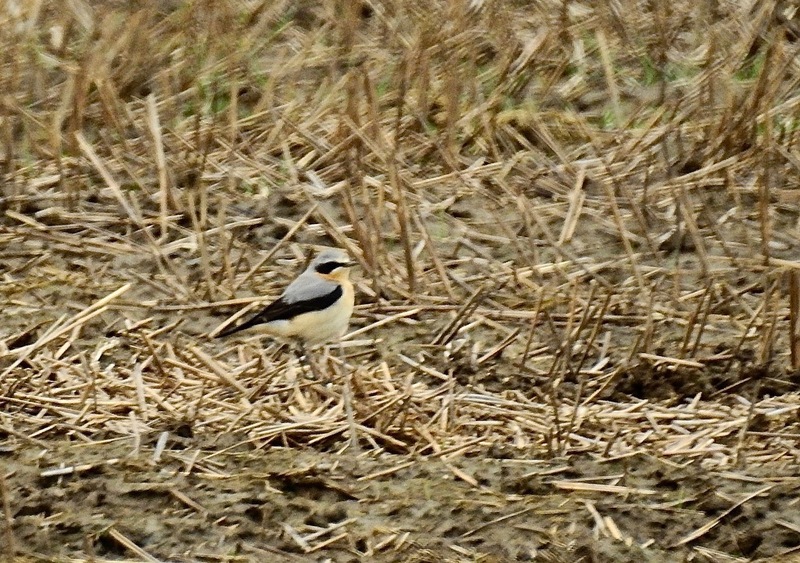 No sign today, but singing Skylarks lifted the spirits, and it felt mild enough for a Wheatear – the first will be along any day now. 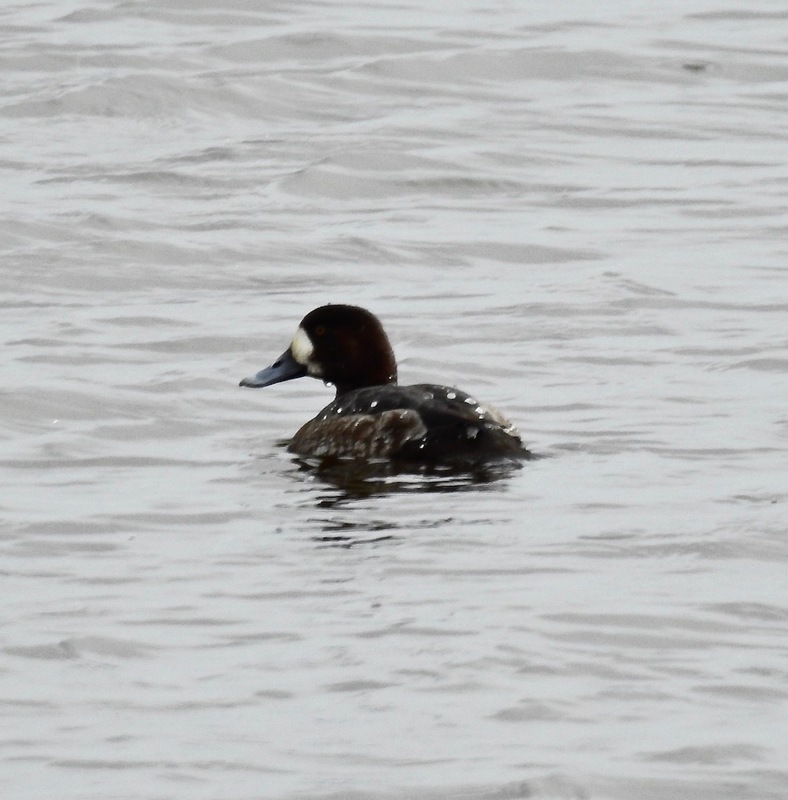 Up at Marshside a few thousand Pink Feet were on the outer marsh still and the Scaup was lingering. 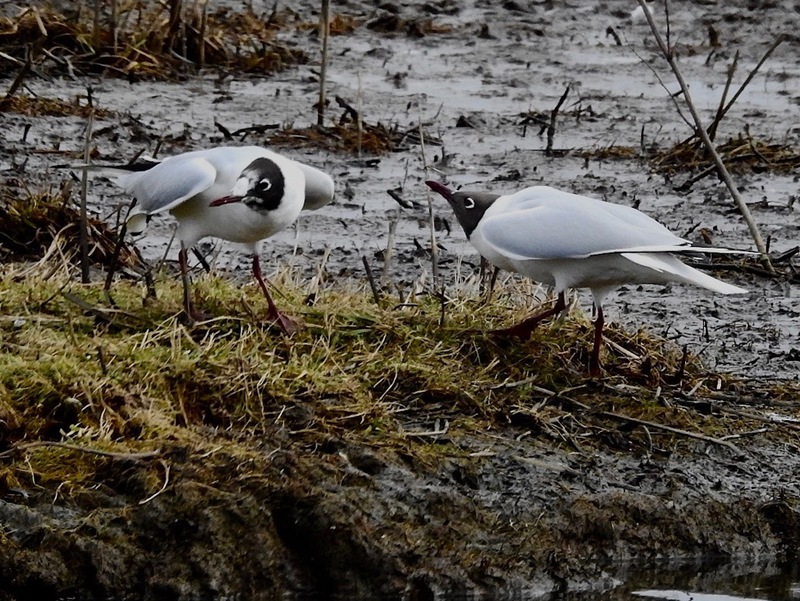 The area in front of Sandgrounders Hide was as busy as the flower stand at a 24 hour garage on Mother’s Day, as the Black Headed Gulls reclaimed the colony for the breeding season. Plenty of scraping and bowing. Two Goldcrest, Song Thrush, Reed Bunting and Meadow Pipits around what remains of the Forest of Bale (happy days) on the other side of the road, and three Stonechats below it. 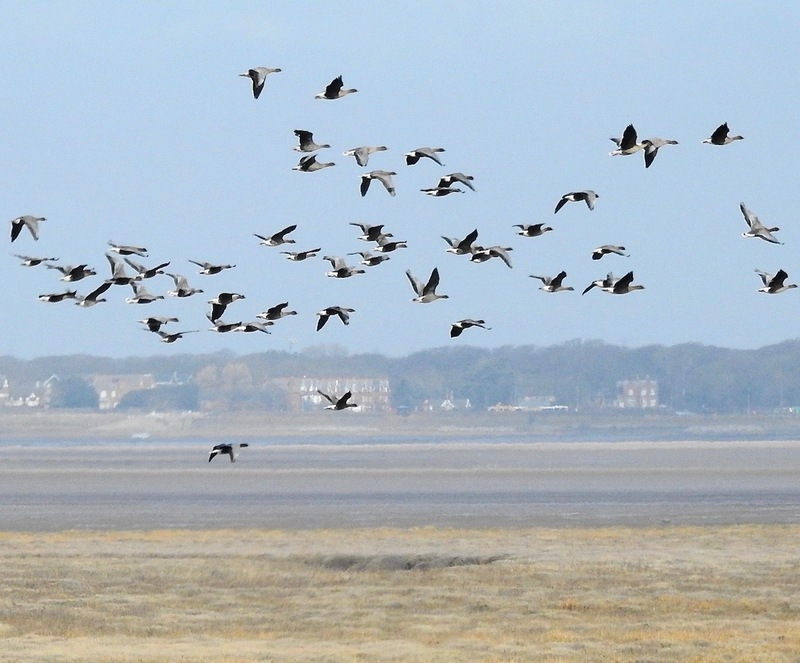 Up at Crossens two crisp Barnacle Geese were in with the Pinks. Coltsfoot and Common Whitlow Grass flowering. Still plenty of ice around the edges and it was cold, despite the thaw at Marshside today, but at least the windchill was calming down, and dabblers could dabble again. 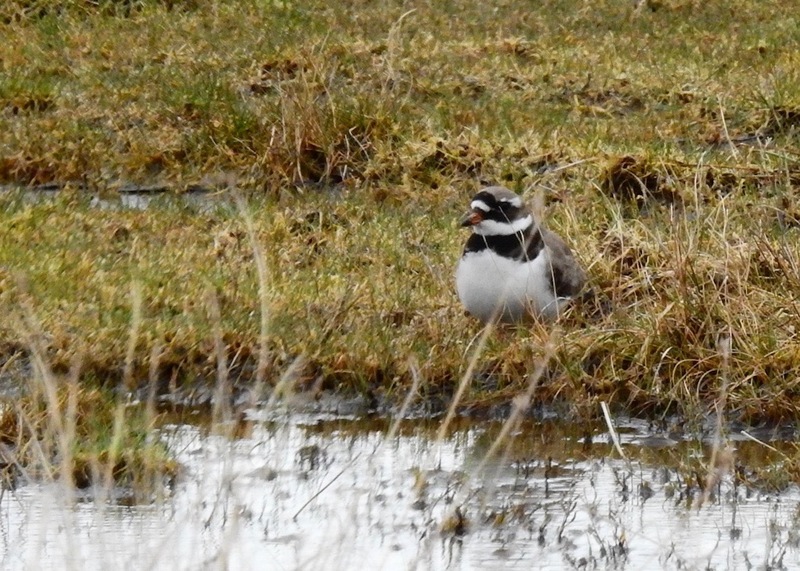 Bird numbers were correspondingly low, with flurries of BHGs dancing over the outer marsh around areas still flooded by the high tide earlier in the day, Snipe zipping around looking for somewhere to feed and a big female Peregrine sitting snooty aloof out near the mudflats. 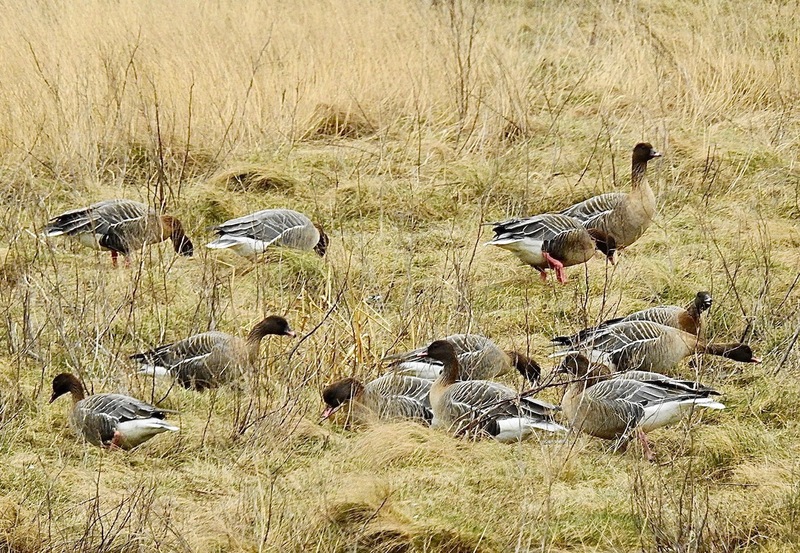 A few thousand Pink Feet were strung out around Crossens Outer, with Wigeon etc and Skylarks were even trying to sing. 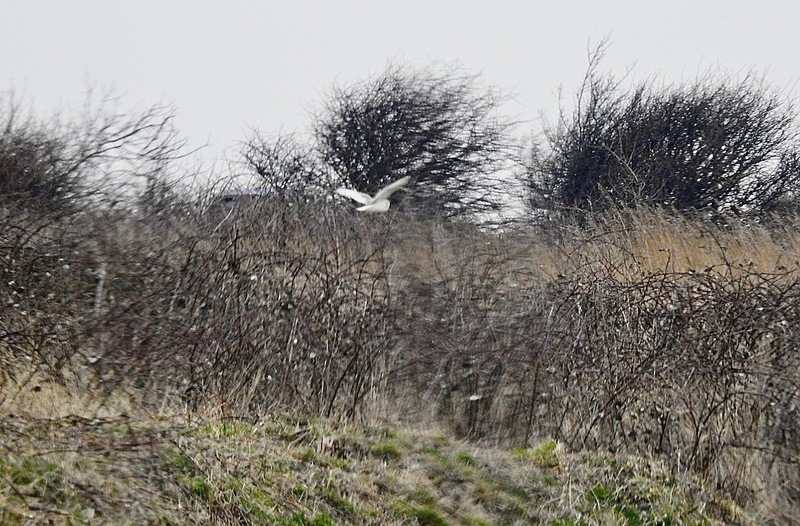 The light was poor though and by 3.15pm it was dark enough for the Barn Owl to be out hunting the bank from Marshside Road up past Sandgrounders Hide (blurry shot through a rain-streaked hide window below) and on towards Crossens. Didn’t look at Marshside One – there’ll be plenty of time for that when spring rolls back in…not long now. Having spent another hour this morning trying to will in a Hawfinch to the garden feeders, I got tired of waiting and started to make other plans. Nothing wrong with the garden of course – stacks of finches, female Blackcap still, Blackbirds, Jackdaws and Song Thrushes, and another garden tick today – an overflying Black Tailed Godwit to complement the startled Little Egret that was blown in briefly like a storm-tossed Tesco bag while Emma was flashing her petticoats about on Thursday. 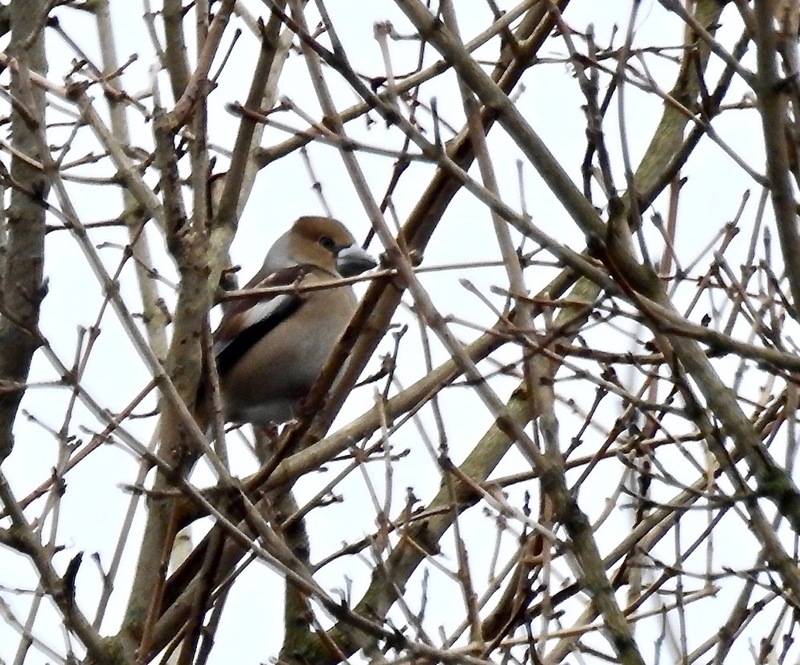 The six marvellous Hawfinches that flew past me at Marshside in October feel a long time ago now, and to be honest I thought I might have seen more in this winter’s huge invasion, but they are thin on the ground our way (and completely invisible at Dempsey Towers, despite the numerous prayers, seeds and incantations). 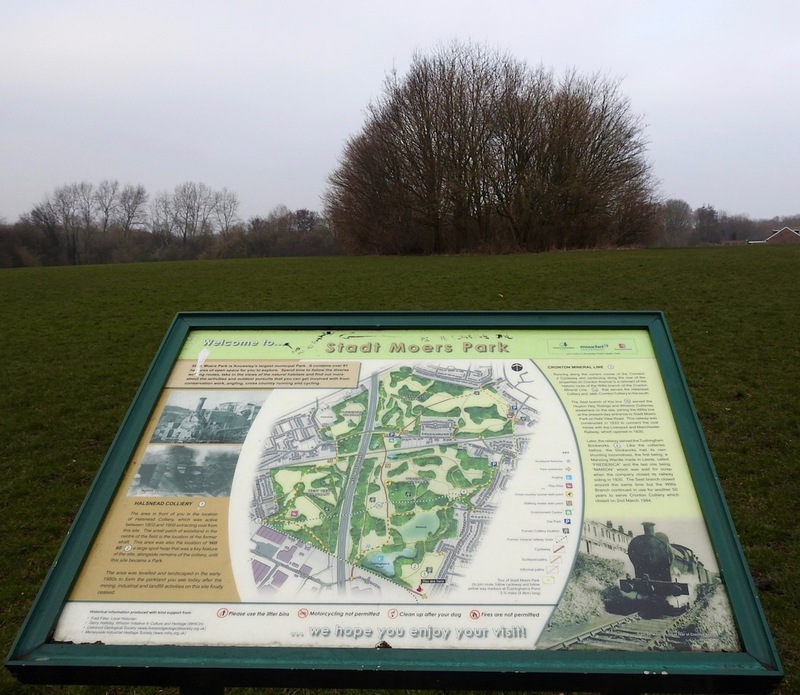 So I decided to pop down the M57 to Stadt Moers Park to look for the two Chris Tynan found earlier in the year. Chris has seen ’em a few times since, so I thought they were worth a punt. I stopped off to officially welcome spring with flowering Lesser Celandines on the mosses, then moved on south. 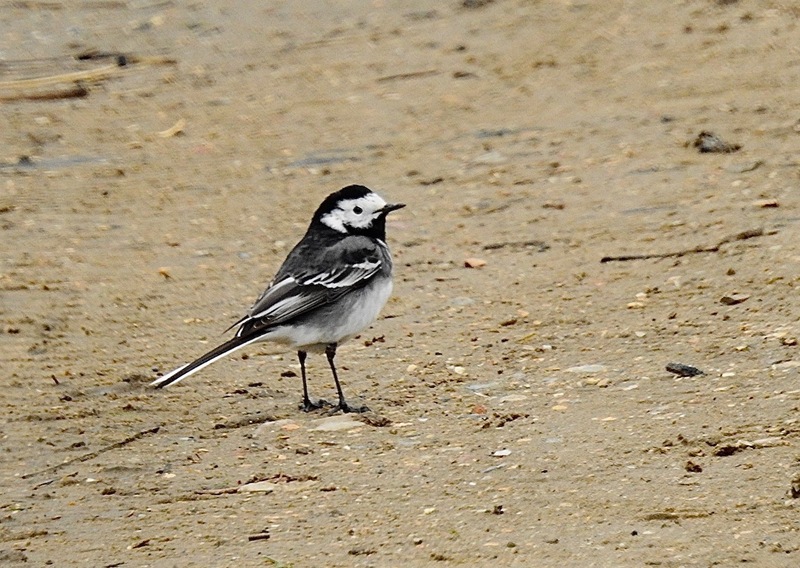 Although these birds favour a small copse immediately to the right of the Halsnead Avenue entrance to the park in Prescot/Whiston they took a bit of digging out. 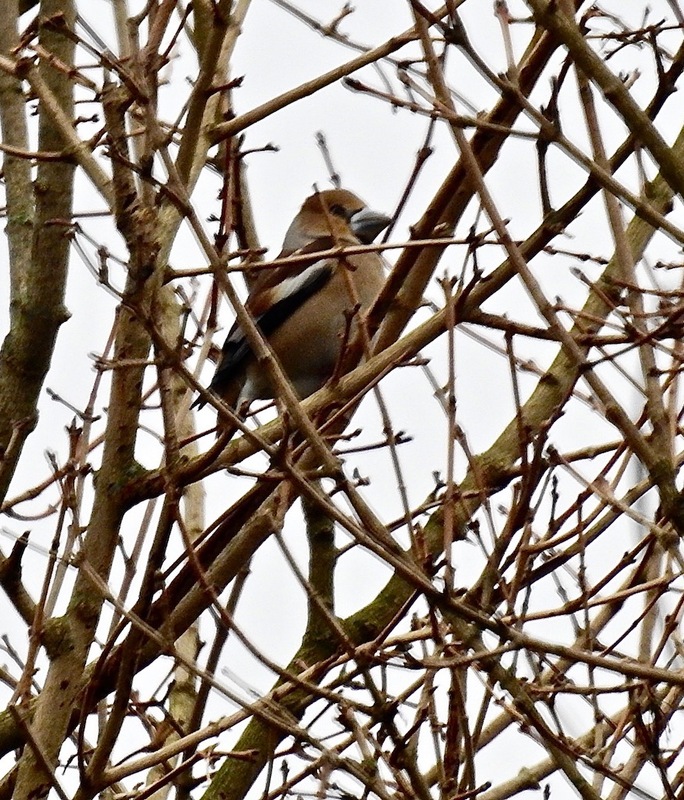 As usual these big finches are unobtrusive at best, and seriously flighty, especially when there are plenty of Saturday afternoon dog walkers in the park. Early morning may be better. 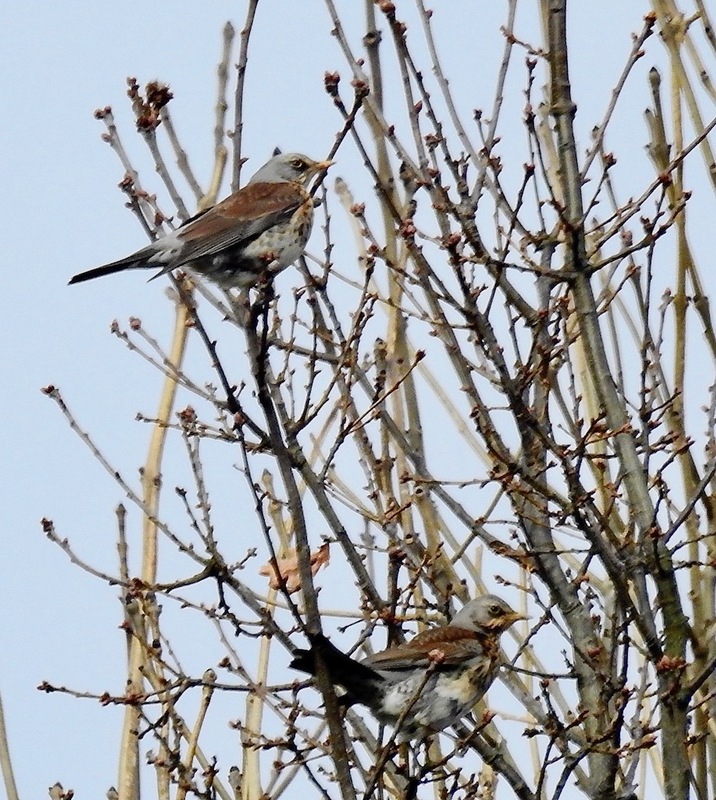 Pleasant enough strolling around the park looking for them though, with Buzzards, Lapwing Bullfinch and Fieldfare, commoner finches and titmice. It was a dark, grey, cold afternoon, and I was numb in the nether regions long before I began to hear that weird loud, yet oddly muffled, “pijk pijk pijk” call and the bruisers flew in. 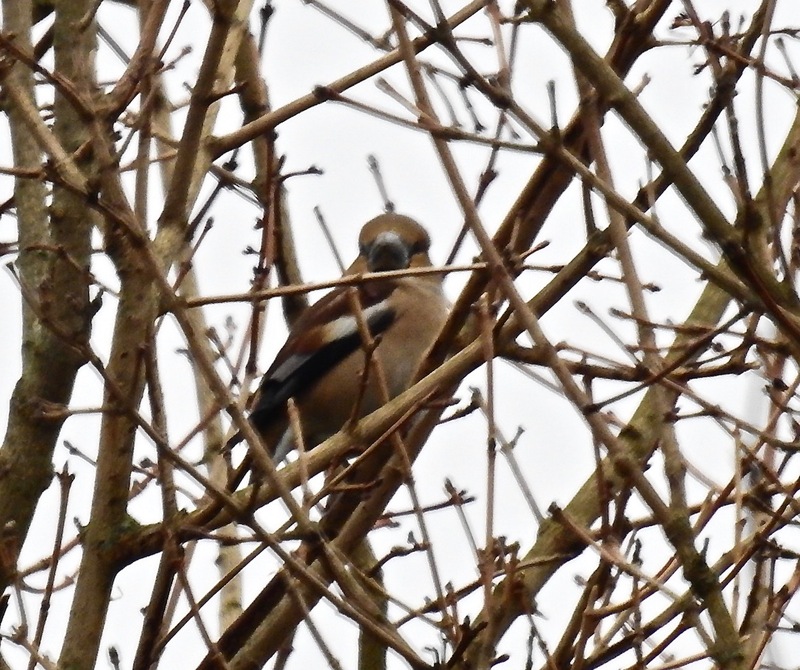 Why do Hawfinches sound like they are calling from a parallel universe (or at least from another room)? No chance of a close approach of course, these things are way too wary for that, but by standing a good distance back against the woodland edge, they came up into the upper branches of the small copse and the female even sat still long enough for me to take some rubbishy zoom shots in the gloom. 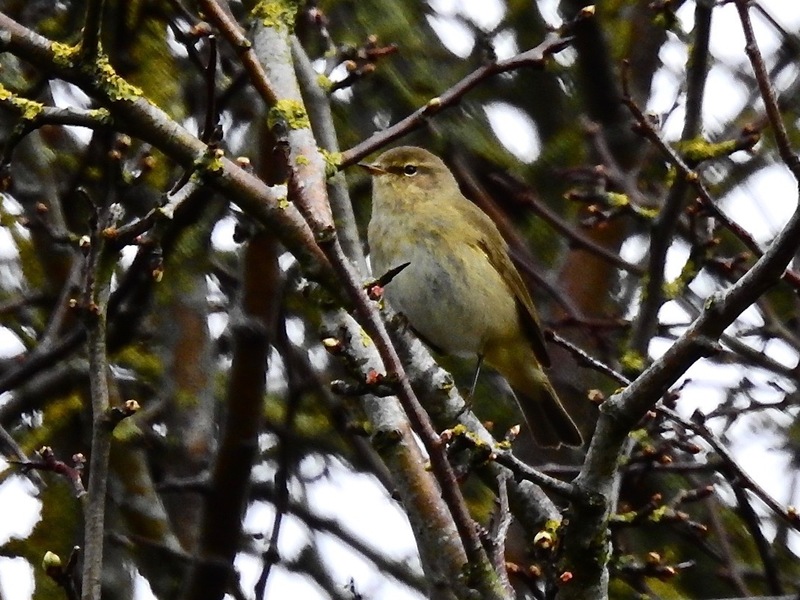 Fine birds, especially only 20 minutes or so from home – I wonder how many others are still lurking undiscovered in similar woodland/parks?